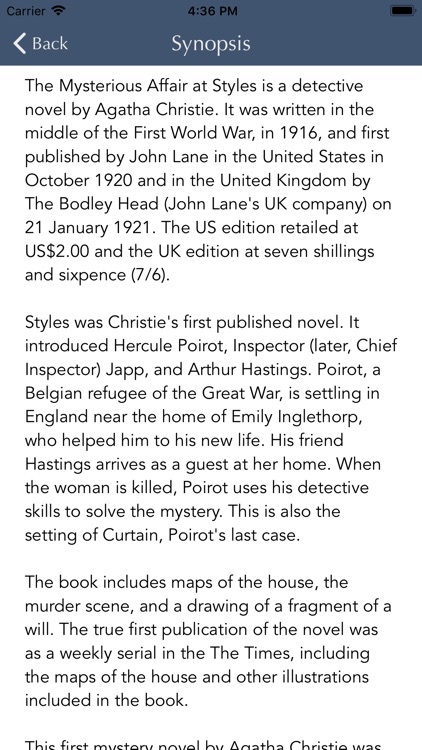 Here is the perfect app for fans of Agatha Christie and for those who collect her books. Keep track of which books you've read and which ones you own. It is the most complete list you'll ever find. Just tap on the little boxes to check "Read" or "Own". Nothing could be easier! -COMPLETE list of ALL mysteries, romances, non-fiction works, and plays Agatha Christie ever published in a convenient, organized, easy-to-use format. 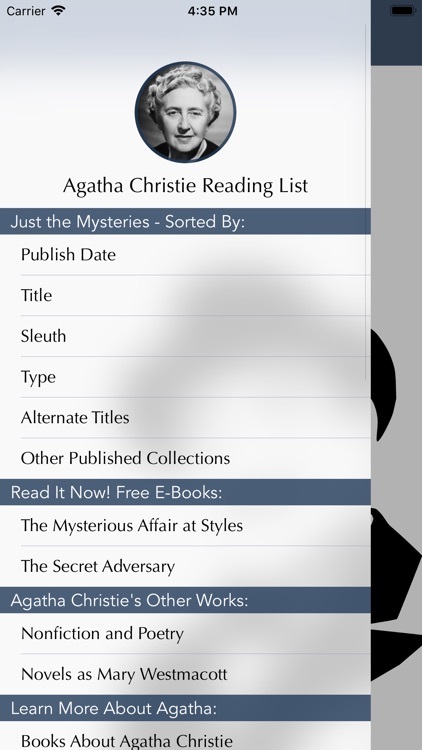 The perfect checklist app for avid Agatha Christie readers. -Discover all the books written ABOUT Agatha Christie's life and works. So many books by so many authors! Lots to peruse! Anyone who reads everything listed would surely become an Agatha Christie expert! -Find which authors have chosen to use Agatha Christie as a "character" in their stories, or which authors have works inspired by Agatha Christie. -Explore Agatha Christie's mysteries in the form of graphic novels. A complete list is included! -Find interesting books about trivia, travel, art, movies, in depth looks at characters, plots, and many other things related to Agatha Christie and her works. 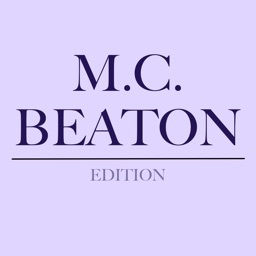 -Rate each book on a scale of 1 to 5 stars. Remember at a glance how much you enjoyed every one. 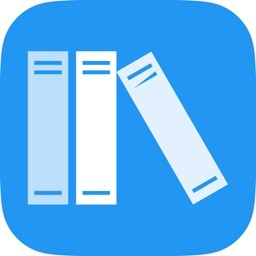 -Keep detailed notes about each book. Note things about the plot, the characters, insights you might have gleaned, who you loaned the book to, where the book is located, your favorite quotes - anything you might want to remember about each title! -Find her mysteries through a myriad of ways, depending on your interest. Books can be sorted by date published, by title, by alternate titles, by sleuth, or by type (novel, short story collection, play, and now, by individual short story titles). Further sorting allows you to see which books you've read or not read, and which books you've bought or still need to purchase. -Check your progress in the new Stats category. See how many books you've read or bought in each category. 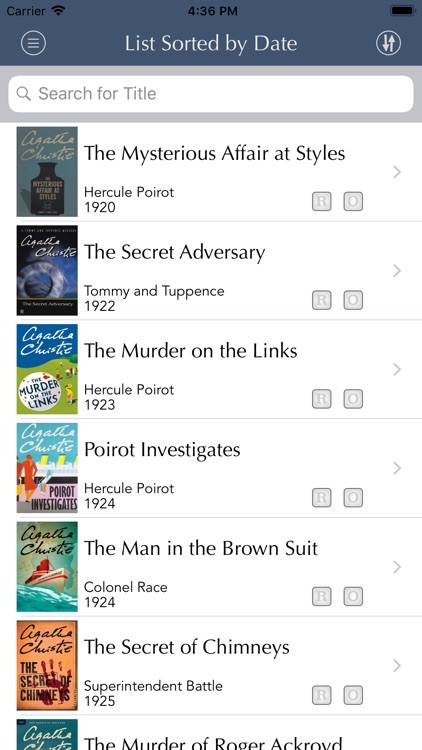 Discover if you finished all the Poirot stories, Marple stories, short stories, etc. in the list. 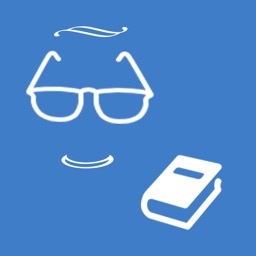 -Earn achievements as you go through your reading list. Do you have what it takes to become a Legendary Agatha Christie Fan? We feel that Dame Agatha Christie has truly earned her title as the Queen of Crime so we created this app in appreciation of her work. 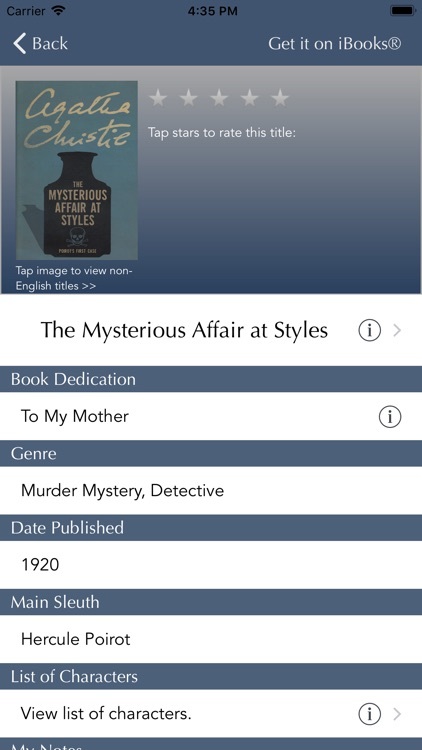 If you've ever been at a book shop, yard sale, or even online trying to remember if you have a certain Agatha Christie title or wondered if you have the same book under a different title, then you need this app. We here at Lea Studios know only too well how useful this app has become since we are avid Christie readers, too. 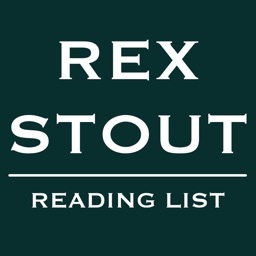 Download the Agatha Christie Reading List now and discover the ease and convenience yourself. You'll be glad you did! Two ebooks are included (for free!) to get you reading right now. They are 'The Mysterious Affair at Styles' and 'The Secret Adversary'. UNFORTUNATELY, due to copyright constraints, the e-books are not available outside the U.S. You still get the full functionality of the app and all the ways to keep track of your books, however! 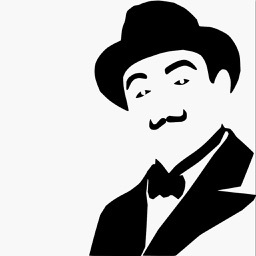 DISCLAIMER: We are in no way affiliated with Agatha Christie Limited nor any other author or publisher within this app. We do not endorse any title, author or publisher contained within this app nor do they endorse Lea Studios or this app. 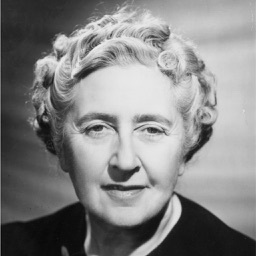 We are simply fans of Agatha Christie creating lists for other fans of Agatha Christie for discovery, enrichment, and fun!